Emily is passionate about helping people feel better through massage therapy and teaching yoga. 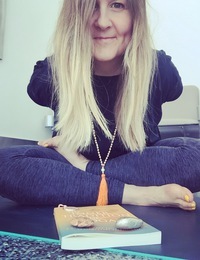 Her emphasis on body awareness is dominant in all her practices as she believes this is something we need in order to live a healthier, happier life. Body awareness gives us the ability to heal ourselves but to also know when to ask for help. With a deep tissue, therapeutic massage background, Emily’s treatment has now grown into a more intuitive technique that enables her to move around the body instinctively with full focus on what each individual client needs. Helping people to relax with her calming energy is something she loves to share with every client/student. After having a dedicated yoga practice for 3 years she decided to take her yoga teacher training in Bali in 2015. It has complimented her massage therapy practice by offering aftercare through yoga. Emily loves to teach due to the focus it has on strength, alignment and balance for both body and mind. 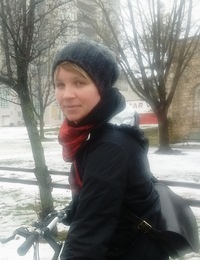 In her spare time, Emily’s practice comes first most days, but she also loves to peak mountains, take long bike rides, read books and travel in her spare time. And then there’s Glenn. Don’t let the 2 n’s scare you. Glenn has been practicing Massage Therapy for 13 years. He’s been making local Bow Valley folk extremely uncomfortable for 10 years now. 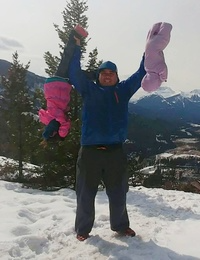 Glenn uses his brute strength, (attained by years of volunteering for the Banff Fire dept) to work his way into your overworked, tired and sore muscles. His massage styles range from therapeutic, myo-fascial, deep tissue, sports and active release techniques. Glenn has been an active member in the Bow Valley for 10 years. He eats peaks for breakfast so he can be home in time for his two darling daughters that have him wrapped around his little (but strong!) fingers. 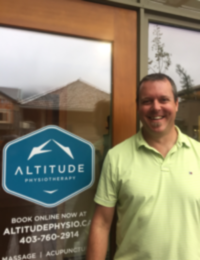 Derek has been practicing massage therapy since 1996 where he started in a clinical setting working on challenging cases mostly from motor vehicle accidents. Derek then followed his dreams of living in the mountains, and moved to beautiful Banff. There he incorporated his passion for the outdoors while working for a lodge based heli-ski operation, keeping the shredders floating down the spectacular mountains of Western Canada. Derek is passionate about helping people attain their goals. Whether it is recovering from an injury, or reaching their fullest athletic potential. Derek has an extremely positive, compassionate, and intuitive approach to Massage. He likes to incorporate myofascial release, trigger point therapy, Active release, and of course relaxation into his massage treatments. After graduating from the Sutherland-Chan Massage Therapy Program in Ontario, Rae’s heart has brought her back to the West, now calling Banff home. First stepping into the healing arts with Reflexology at Mount Royal University (2010), she now integrates this method into her practice, finding it useful for alignment and painful or acute conditions. Alongside this system her interests are but not limited to; scar work (including post-mastectomy), core rotation issues from high intensity sports, post-surgical recovery and rib displacement. She has also begun to take a closer look at those recovering or dealing with chronic neck pain and postnatal women with an acute eye for dealing with caesarean section restrictions. In all these areas you’ll often find her using rhythmic movement, breath work, myofascial release and lymphatic drainage to achieve results that the patient and therapist can be pleased with. She believes listening to the language of the body helps to determine the right tools for working with an individual and making sure the tissues are responding. Outside of being an RMT she has been practicing yoga for 15 years, has an interest in herbs, aromatherapy and has a grand appreciation for the Western pace.